Ms. Wild has the worst luck when traveling. Always looking for a short cut, she often becomes lost. 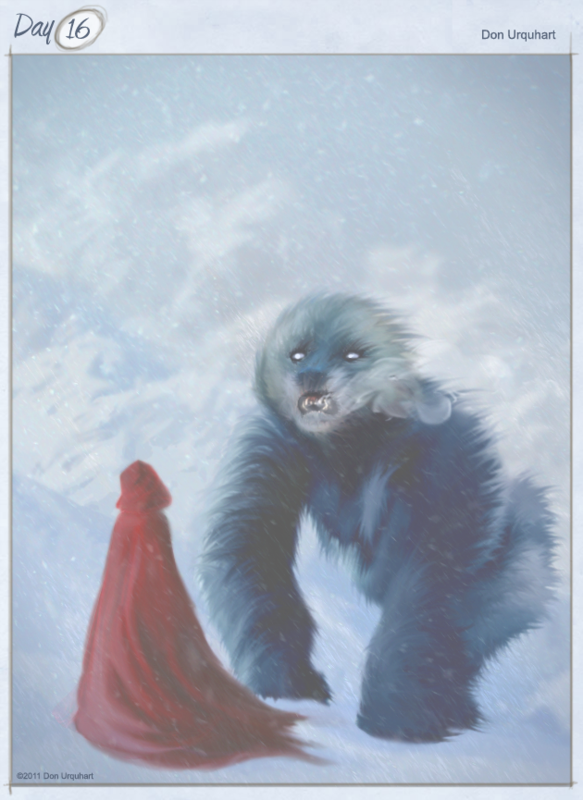 While astray in the Snowy Mountains, she found a mountain Yeti. Fortunately for Darlene, she has an affinity with all animals. This piece has a real Frank Frazetta feel to it! Thanks. I’ll take a Frazetta compliment any day. What a gorgeous piece. So quite, cold and yet powerful. It has a wonderful on the edge feeling. Are they about to fight, or will she south the savage beast withe her beauty. Great stuff. Great painting and wonderful execution. Thanks, KM. BTW – I’m a fan of your work.